Adriana Ramić, The Return Trip is Never the Same (After Trajets de Fourmis et Retours au Nid, M. Victor Cornetz, 1910), 2014. Ebook, 82 pages. 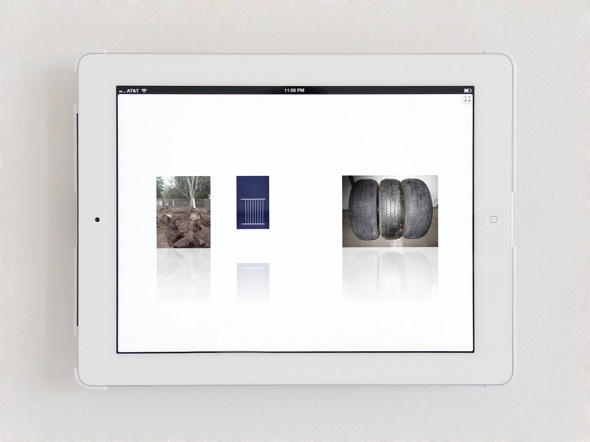 Installation view, Smart Objects, from the exhibition "Never cargo terminal has recently discovered the trembling hand of state secrets resounding oversold bounce child." Lizzie Homersham: The work you exhibited in the recent show at Los Angeles' Smart Objects ("Never cargo terminal has recently discovered the trembling hand of state secrets resounding oversold bounce child," Jul 12 - Aug 8, 2014) was produced by retracing a series of ant pathways onto an Android Swype keyboard, then translating these movements into every available language. What prompted you to consider the smallest of animals in relation to your personal production of language on a smartphone? Adriana Ramić: Both their tiny scale and presence in popular imagination drew me to study ants—but perhaps more influential were the scientific discoveries about their communication habits that anthropomorphized them in an interesting, abstract manner. Olga Kostenko, the researcher behind this 2012 study at the Netherlands Institute of Ecology, describes insects leaving chemical messages in the soil for future generations as an act through which "the insects relive the past." Jussi Parikka's book Insect Media (2010) also drew very insightful connections from insect behavior. More broadly, the symbolic application or correlation of insect logic to other purposes, like artificial intelligence (networks, swarm intelligence), and military practices (robotic prototypes, models for drones), was influential. From The Return Trip is Never the Same (After Trajets de Fourmis et Retours au Nid, M. Victor Cornetz, 1910), 2014. Ebook, 82 pages. To return to the case of ants specifically, the status of their movements as informational exchanges was of direct relevance to working with gesture on mobile—partially because the way they develop a complex network of trails seemed to be a form of communication, and also because of the vagaries in their paths (at least seemingly, to an observer). From the book Trajets de fourmis et retours au nid., Victor Cornetz, 1910. I found this book while I was in Paris this year as part of an 89plus artist residency at the Google Cultural Institute, where I also began attending meetings of the Paris Association of Coleopterists (Association des Coléoptéristes de la Région parisienne). I was hoping to collaborate with experienced beetle enthusiasts, who count former military generals and famous mathematicians among their ranks. Some members kindly referred me to another scientist working in the catacomb bureaus of the Museum of Entomology, who generously lent me Cornetz's book. 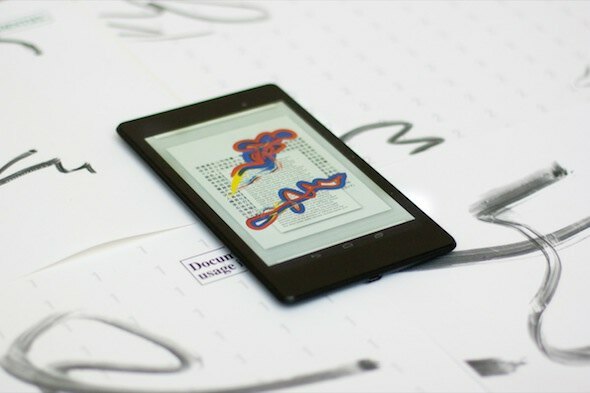 It became the source material for The Return Trip is Never the Same (2014), an ebook with texts created from redrawing the pathways onto the Android Swype keyboard in every available language, and accompanied at Smart Objects by a series of works on paper titled Nobody Messages from Nautilus (2014). LH: This project reminds me of Architects of Gamma Bad, in which you used optical character recognition and Google Translate to transcribe a found text found written on the walls of a house in Zhujiacun, China that was slated for demolition. Can you talk about your use of language-producing algorithms in The Return Trip is Never the Same? Did you edit any of the writing that the ants produced? AR: In terms of composition and editing, one of my interests in language production via predictive text is how it both reinforces and avoids idiom and cliché. Swype-mediated communication is constrained to the crowdsourced analysis of contemporary vocabulary and your own typical writing habits, which are tracked in order to personalize the predictions. 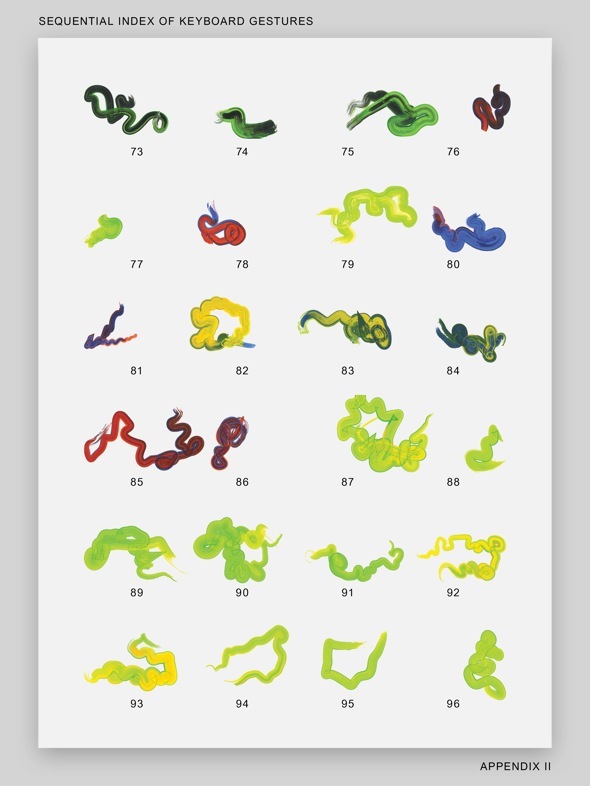 The visual, gestural input of Swype and the analytic predictions it offered, led to the fluid creation (a phrase I've likely recalled from Swype's own advertising) of new texts. Imagining how these ants' pathways could string together semi-sensical sentences in every supported language became a means to bring the two ideas together in a way that could be formally interesting as well as a bit humorous, while engaging with various histories of automatic writing, mark making, entomology, speech, and the global expansion of Western technocracy. The end results were single sentences, and compiled unedited. LH: On your "Travelogue" tumblr you shared snapshots taken in travels around the world as well as screenshots taken in travels around the web. 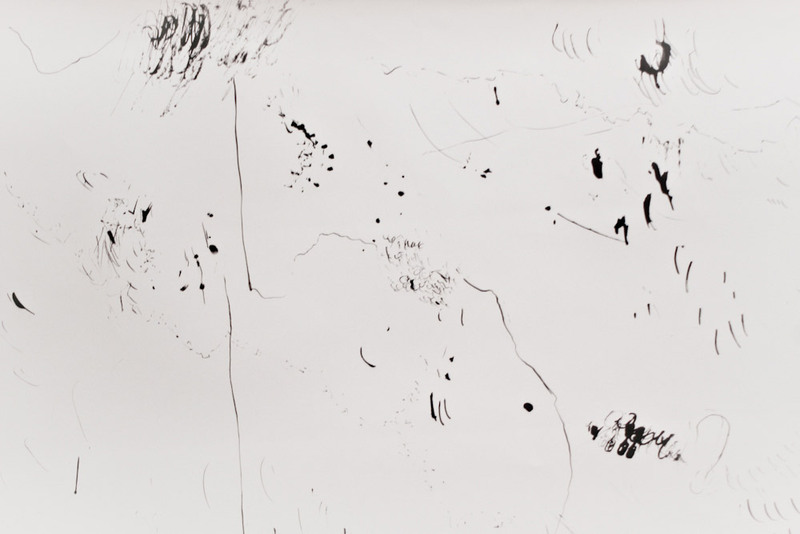 Did the process of documenting these journeys inform more complex works such as Room Visits, in which detailed climate readings inspire sensitive ink drawings? AR: I renamed my tumblr from "Blog" to "Travelogue" to resituate a collection of (primarily) photos as traces of time spent in specific locations outside of a studio. I wasn't so interested in using the tumblr or the term travelogue to state a special distinction between URL and IRL, as I was in observing the banal marks left by arrangement and signification in different geographical spaces and the infrastructures they might point to. Room Visits (2011) is also about the possibility of experiencing a place through a particular infrastructure, though in this case much more quantified, by attempting to indecipherably inhabit fluctuations in temperature, pressure, humidity, and brightness observed in real-time data uploaded by users to Xively.com, a site which at the time operated like a YouTube of data feeds. 12 minutes in mkishere’s room, Hong Kong (2011). From Room Weather Data, Fo Tan, Hong Kong. Pressure ranging from 1000.3 - 1033 hPa. Ink on paper, 36" x 26." LH: In Craigslist-assisted Readymade (2011), an online application which selects three random, free-of-charge items from a random US region on Craigslist and presents them as a propositional readymade, you use live data in a way that refuses a (traditional experience of) contemplative viewing; the objects are forever changing and moving beyond reach. To what extent did you think of consistency or stability as something to avoid? AR: I'm not necessarily avoiding consistency because the essential parameters of three free items somewhere random in America remains constant. Free stuff goes quickly on Craigslist, so the person who views the items as part of the stand-alone app or browser extension I designed could, theoretically, obtain them and take them out of circulation. Meanwhile, it's much more likely that the compositions are being constantly altered by Craigslist's millions of visitors, even before the (art) viewer gets to see them. Craigslist-assisted Readymade also exists as screenshot editions of selected combinations, or sculptural works in which the three selected objects have been physically obtained, assembled and supplemented with their classifieds listings. On one hand, these present a series of single, unchanging compositions, but on the other, the process of re-circulating the objects, regardless of whether the items have been obtained or are still being advertised, means that they are to some extent still moving, never quite static. 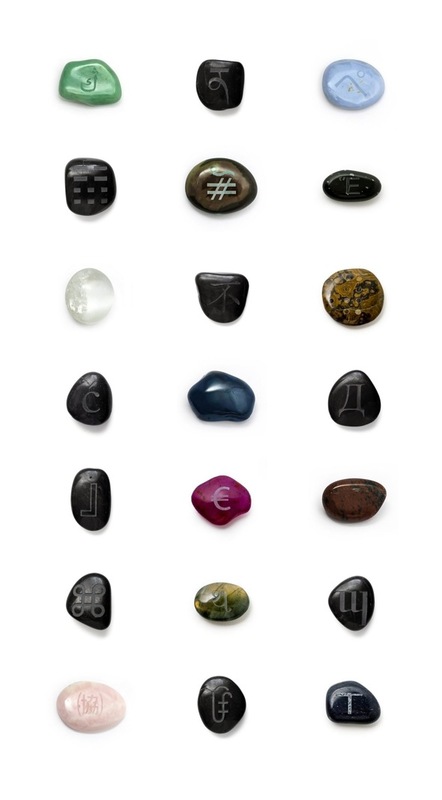 LH: Like Craigslist-assisted Readymade, Unicode Power Stones and its accompanying Collector's Guide suggest an interest in rethinking forms of collection and valuation. For that work, you've been engraving stones with Unicode symbols, displaying them digitally and formulating ways for them to be obtained at auction online. The system for the latter remains undecided. Do you think there are reasons to intervene in the systems inherited from the traditional art market, considering the digital foundations of much of your work? Unicode Power Stones (U+0107, U+0270, U+0414, U+06AD, U+0AA5, U+0F53, U+1F1D, U+20AC, U+2318, U+2531, U+288D, U+29E4, U+300F, U+307A, U+323F, U+4E0D, U+A030, U+1D332) (2013-). Engraved stone. Dimensions variable. AR: I recall our discussions last year about the conceptual pricing of works, like in the case of Unicode Power Stones (ongoing since 2013), where the pricing of each unique character's stone could be subjective (e.g. based on an auction), or egalitarian—in which case quotation marks and obscure hieroglyphs would both command the same price. The fact that pricing a Unicode Power Stone also necessitates assigning a value to a written character or symbol is one of the more difficult and interesting aspects of the piece for me. I think that the choice to resist or embrace the conventional art market isn't one necessarily motivated by the medium being digital, but that there definitely are opportunities to reconsider valuation. And interesting ones to seize. 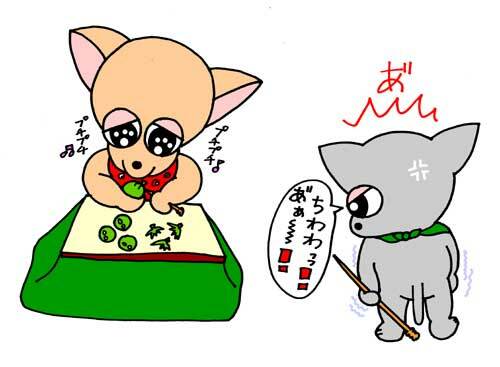 In elementary school I started making websites devoted to different types of animals. University of California, San Diego (Interdisciplinary Computing and the Arts and Studio Art). A white room with minimal furniture and a default desktop background. Travel and hard-drive failure have wiped my homes clean, but I'm preparing for a marimo future. 1. 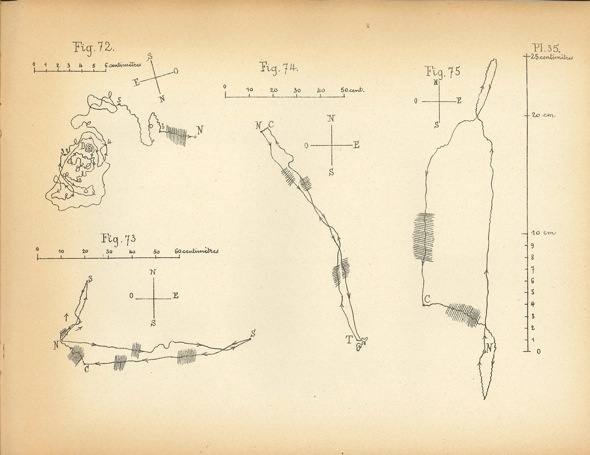 Dr. Rudolph Brun, "The Instinct of Orientation of Ants: The Operation of the Homing Instinct," Scientific American Monthly, 1-2 (1920): 55.